Schedule & pull client bank statements so you can do more in your day. 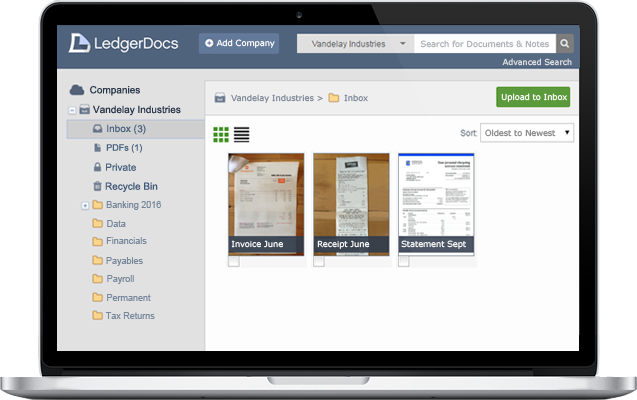 With multiple ways to upload your financial documents in to LedgerDocs, completing accounting tasks on a timely basis has never been easier. Use LedgerDocs with any accounting software such as QuickBooks, Sage 50, Xero and Kashoo. Reduce emailing back and forth for your accounting by collaborating more efficiently within LedgerDocs at the source document. Invite members to your company and use notes, tags and sharing features for each uploaded file. 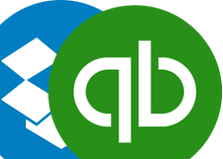 Features to help business owners, bookkeepers, and accountants work together on financial documents at any time, from anywhere, to make the accounting process as simple as possible. Upload from within the app or use your smartphone, scanner, email, or Dropbox. Set a schedule to pull statements from banks & credit unions you already use. Invite members to share documents with notes and tags for additional context. LedgerDocs integrates with a number of business applications so you can effortlessly sync and streamline your bookkeeping and accounting process by using your favourite add-ons. Sync your Dropbox and QuickBooks Online account with LedgerDocs to experience a powerful document management system designed to enhance communication around your bookkeeping and accounting process. LedgerDocs has been a great tool for me to use with my clients. It provides a secure way of transferring key files between myself and my clients. Dayna Holland, Invictus Accounting Group Inc. 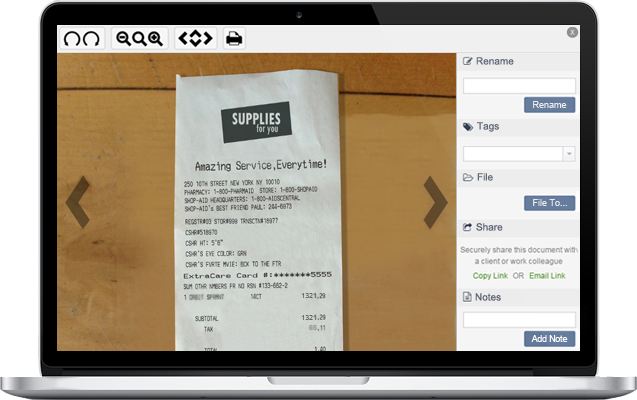 It is so easy to take a picture of my receipts and upload it directly to my bookkeeper. The best thing is that once I upload it, I really don’t need to deal with the document anymore.